Who Makes a Great Vegan Bread? Vegan bread shouldn't contain any animal products, including dairy, eggs, or honey. While some baking companies claim to have vegan bread, not all do because they still use egg or honey in their breads. To get a truly vegan bread with many varieties you have to look at Food for Life. All products from Food for Life are vegan. Absolutely no eggs, dairy, or honey are found in any Food for Life products. Vegan products aren't limited to just the breads, Food for Life also makes great pastas, cereals, waffles, and muffins. None of their products contain anything originating from animals. 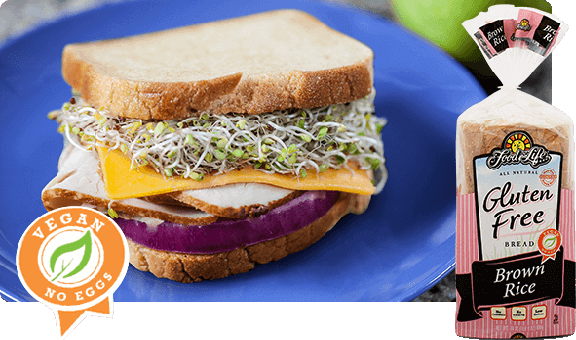 Food for Life's Ezekiel 4:9 Sprouted Grain Bread is the most popular. It takes six grains: wheat, barley, beans, lentils, millet, and spelt, and combines them. When they are sprouted, great things take place. A complete protein is created that closely parallels the protein found in milk and eggs. The quality is so high that it is 84.3% as efficient as the highest known source of protein, and contains all 9 essential amino acids. 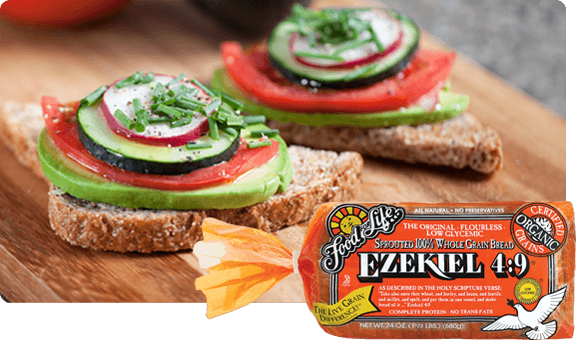 Food for Life Ezekiel 4:9 bread contains 18 amino acids, all from vegetable sources. Find out where to get great tasting Food for Life vegan bread at a location near you HERE or buy from our online store HERE. In addition to the great vegan breads from Food for Life, there are also cereals, muffins, and pastas. Food for Life focuses on creating products that help you live a healthy lifestyle through better eating.